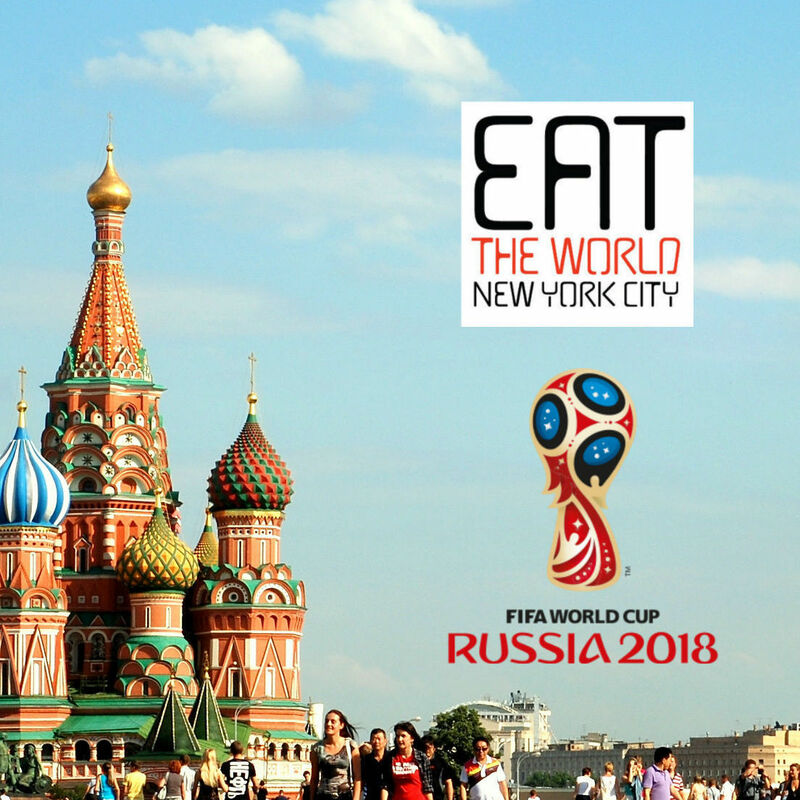 It seems like Williamsburg's Grand Street of all places is becoming the go to place for foods from the Maghreb, Islamic lands west of Egypt in Africa. Over a year ago the very nice La Goulette opened a block further west offering Tunisian cuisine, and now arrives Bar Omar, baby brother of Chez Omar straight from Paris. The original opened in the 1970's and claims to have been among the first to introduce North African flavors to Parisians. Now in 2016, the good looking bistro comes to Williamsburg. They both advertise Algerian French soul food, but it is not a mashup, you can either order North African couscous and tagines or grab steak au poivre. I showed up on a Friday right after opening to try the couscous and merguez, but seemed to have immediately ruined the day of what I took to be the manager. "The door's unlocked, so I guess we're open" was my greeting as I sat down at the bar. Luckily the rest of the staff, dressed in their bistro black and white, was much friendlier than this flanneled man. As I watched him become frustrated with deliveries and coworkers and life in general, I had a couple beers and waited for the kitchen to open. A promised thirty minutes became almost two hours, and my hunger was life threatening. Luckily my meal was not just satisfying, but really good. You can order from the couscous side of the menu or just plain plates. When I asked how the merguez was served, a simple "On a plate" was the answer. The couscous portion, however, comes with a bowl of nice broth with vegetables, or what in Paris would be called bouillon. 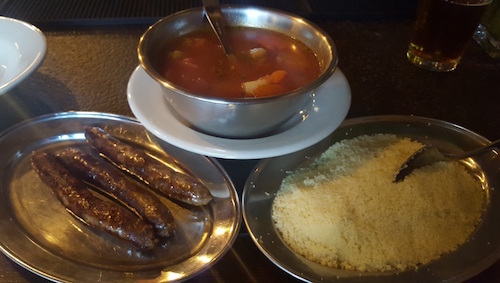 The couscous with homemade merguez ($18, above) is plenty of food already, but the bouillon and couscous are bottomless apparently. For someone with a larger stomach, this could be a real find, as the couscous is outrageously good, the best I have had in New York. The sausage itself is tasty as well, but I might ask them to cook it a little less if I were to order it again. It may have been on the grill just a couple minutes too long for my taste, but the spices and herbs made for bites that needed nothing else added. This of course did not stop me from completely devouring the small bowl of harissa that was also brought to me. The rest of the menu is no cheaper, so this restaurant is somewhat of a special occasion sort of world cuisine meal. The cheapest draft beer is $8 and the chalk board advertises wines from $63 to $112. That being said, I was pleased with my small solo dinner, once it finally came.